2015 - Substantial evidence shows that Israel is unwilling to grant access to its courts to Palestinians from Gaza seeking reparations. 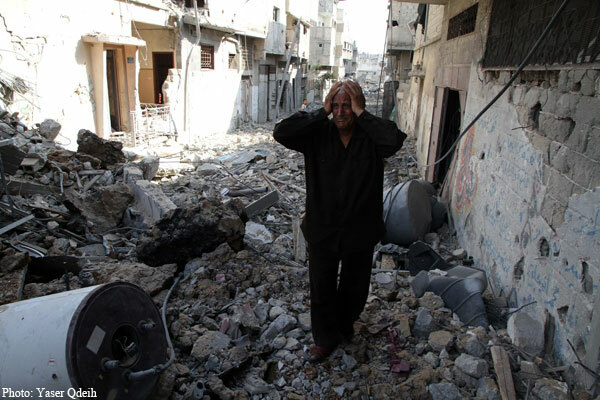 For claimants from Gaza, there are no domestic remedies to speak of. This obstruction is the result of conscious design through a series of legislative reforms aimed at producing a specific outcome: no remedies for Palestinians as far as their claims involve violations by the Israeli military. Beginning at the start of the second Intifada in 2000, the Israeli legislature, Israeli military, and the Israeli courts have been setting procedural requirements and obstacles in front of Palestinian claimants, which effectively deny their right to an effective civil remedy for alleged violations of international humanitarian law (IHL) and/or international human rights law (IHRL). The violations include those that led to severe damages and fatalities, and constitute grave breaches of IHL and may amount to war crimes. Also since 2000, the practice of the Israeli Military Advocate General (MAG) has been formulated to deny the opening of criminal investigations into the killing and injury of Palestinian civilians unless an internal investigation by a military commander discovered suspicions of criminal responsibility. Although the MAG narrowed the scope of application of this policy in the West Bank, it still applies to deaths and other damages suffered by civilians in the Gaza Strip for attacks by Israeli forces that appear to have violated IHL and/or IHRL. As a result of this framework, Palestinians living in Gaza, whose family members are killed, injured, or have had their property damaged or destroyed through Israeli military actions, have no access to effective remedy for their damages, and the Israeli military is not held accountable for violations of international law. This brief, while necessarily touching on issues with the MAG and against a general backdrop of lack of access to justice, will focus on the obstacles in bringing civil claims in front of Israeli courts. The parallel briefing on criminal accountability details Israel’s systematic impunity through the MAG. See Yesh-Din, Exceptions, Prosecution of IDF soldiers during and after the Second Intifada, 2000-2007 (September 2008) pp. 19-23; Yesh-Din, MPCID Investigations into the Circumstances surrounding the Death of Palestinians Convictions and Penalties (Data sheet, July 2013), both available at http://www.yesh-din.org/prodcat.asp?prodcatid=1&topicid=2&typeid=0 (last visited on 12 March 2014). According to figures forwarded to Yesh Din by the IDF Spokesperson, during the period 2003-2012 the Israeli military police opened over 179 criminal investigations concerning suspicion of the unlawful killing of Palestinian civilians by IDF soldiers; only 16 investigation files opened from September 2000 through mid-2013 regarding incidents in which Palestinians civilians were killed led to indictments. In that period, some 5,000 Palestinians, including approximately 1,000 minors under the age of 18, have been killed by Israeli forces in occupied Palestine.